Ever feel like you are one paycheck away from a financial disaster? According to statistics, more than 10 million UK citizens have less than £100 in savings and the majority of citizens have less than £1,000. It’s no wonder that so many are one paycheck away from a disaster with so little in savings. 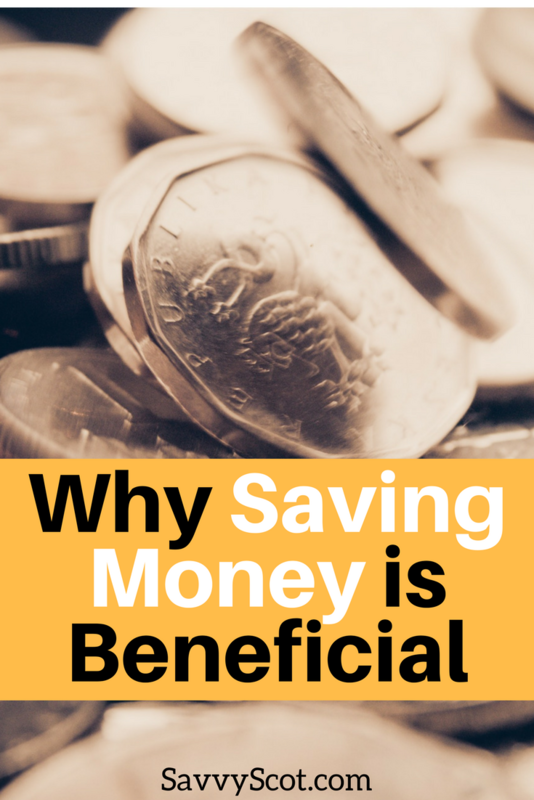 While saving money isn’t always the easiest thing to do, it is beneficial. Those with no savings are encouraged to start saving now. Saving money helps with willpower. If you are one of those people who find it hard to save money, there is good news. The first few euros are usually the hardest to save. Once you start seeing your savings grow, you will want to continue. So often we impulsively buy items, or spend more than intended. When we make saving a priority, our willpower increases. We begin to question the necessity of those impulse buys when knowing that money could go towards savings. We begin to say “No” to impulse buys and “Yes” to saving. Saving money puts you in control of your finances and your future. There is no better feeling than the feeling of security. Having money in the bank for next month’s rent, or next year’s vacation means having control over your future. It cultivates patience and good habits. Parents who save money are more likely to raise children who follow in their footsteps. Children will learn the importance of good financial habits from seeing their parents do it. Those who have money in savings have a better quality of life at a later age. Just think of all the fun things you could do when you are retired if you start saving money now. Additionally, if you are one that likes to plan ahead, having money in savings creates a sense of security. You will worry less knowing the future is taken care of. Knowing you are covered in an emergency allows a little more freedom with your finances and reduces stress. Being in control of your finances allows you to buy things you want when the timing is right. It also allows you to take those vacations you have always dreamed of. You will be able to reach your goal of buying a house or paying cash for a car by saving. It’s a wonderful feeling to enjoy the fruits of your labor. Those who save money are often frugal in many areas, but tend to have this one thing in common: they are charitable. I imagine this is linked to knowing that their own family is taken care of and wanting to pass that blessing onto others. When you have money in the bank you don’t need to worry about small personal loans. This creates independence and a lack of debt. And we all know how nasty debt can be. Saving money gives you a boost of confidence, a feeling that you are doing the right thing. Simply put; It feels good. You won’t feel guilty for having saved instead of spent. “Saving money helps me feel like I’m in charge of my future. I’m not a slave to a job in order to pay bills. It gives me freedom.” -Sarah B. “I use all my savings for travel. Makes it a good incentive to save” – Rachel B. “Saving now lets me splurge later.” -Mary C.
“I am teaching my children how important it is to save now because I don’t want them to end up with the amount of debt I have. I want them to enjoy a future with financial freedom.” -Jane S.
Still not convinced? Here is the best reason to save money: You will have MORE money! Don’t just take my word for it. Start saving now and see how your efforts will soon be rewarded. Saving money is a way for me to live an unwasteful life and to prepare for unexpected crises in the future. Frugality is what has helped me get this far in life.